I must confess that i have never been to the theatre in Nigeria but i am really glad that i bestirred myself to go to see the opening show of Queen Moremi, The Musical at Terrakulture a few days ago. From the minute i sat down and the lights came on and until i left, i was swept into the richness and depth of the story, characters, the stage design and the best part of it for me was the music! So rich, so emotional, so authentic of the region and i am guessing has got to be a reflection of the music in the era that Moremi Ajasoro lived. After the cast hit the stage, kicking off a spectacular run that has made the musical play one of the most sold out theater shows of all time, Bolanle Austen-Peters was all smiles as the entire hall stood up at the end of the show to give a rousing applause. The cast and the crew did so well! Surely, i am not the only one who noticed that every single member of cast no matter how little a role they played, proudly belted out their lines or lyrics as they deftly steered us through scene after scene until the end of the show. Some members of the star studded cast. The star studded musical gets the audience reliving our very beautiful heritage and culture. 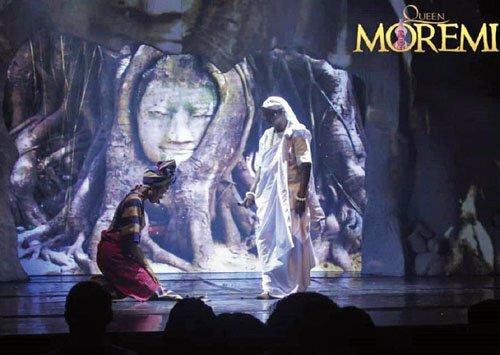 Queen Moremi the Musical is gradually creating awareness to our history, roots and has been a wake up call for the youths in the country, especially females who can look at Moremi as a feminist icon. Not only did the premiere offer more untold stories of the Queen Warrior, the adventures of the Queen Warrior demanded a fitting soundtrack, and Bolanle Austen-Peters clearly made the music of Queen Moremi the Musical a high priority. 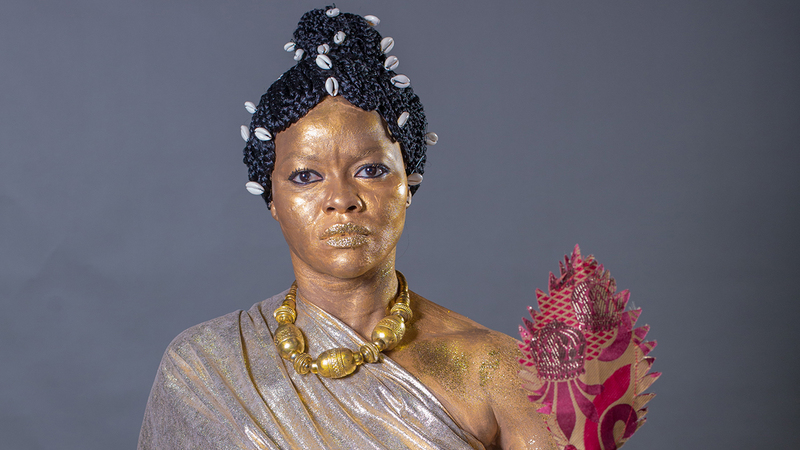 Months before Queen Moremi the Musical arrived on stage, Bolanle Austen-Peters sent her musical team to the House of Oduduwa in Ile-Ife, Osun State to create the musical score from the roots where Moremi Ajasoro was born and lived. All through the show i wanted to reach for my phone to call someone, to send people pictures, to start to type out talking points for the glorious review that i was certain to write after the show but on the other hand my gaze was fixed on the stage as i was completely enraptured, my hands were wrapped around me, almost like my heart that was bursting with pride needed to be held back within me. What was this that my eyes were seeing and my ears were hearing? 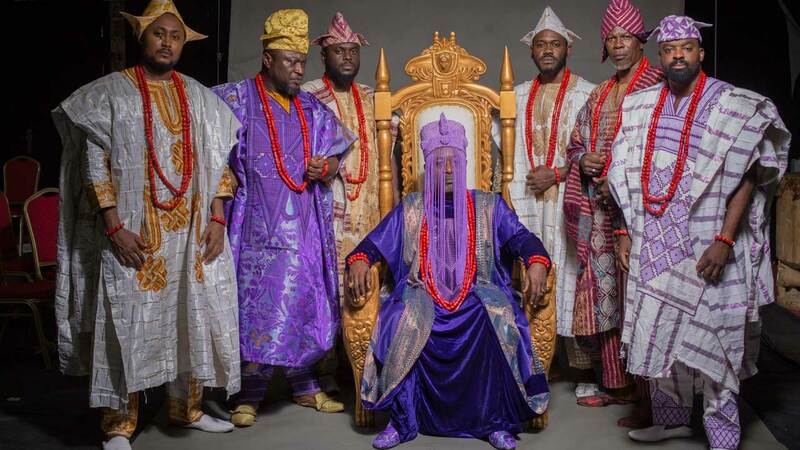 How has Queen Moremi gotten me to push to the recesses of my memory all the badly written scripts and even worse delivered lines that friends and family had told me about previous shows that they had attended. I found myself trying to make excuses by the end of the show and making a mental note to never again miss a show especially one that is directed by Bolanle Austen-Peters. 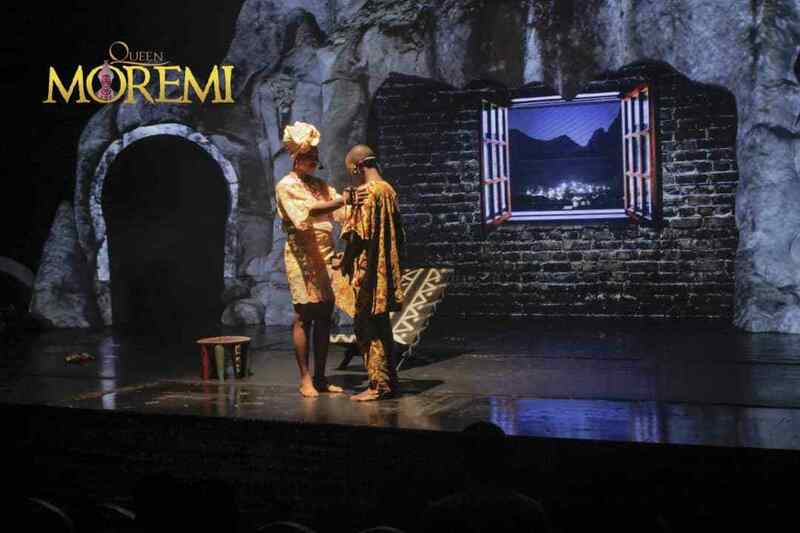 This genius that is Queen Moremi The Musical must have more from whence it came!